June 13, 2013… Widely considered the greatest play of the 20th century, Samuel Beckett’s Waiting for Godot begins previews on Thursday, June 13, at the Tom Patterson Theatre. Since it was first staged 60 years ago at the Theatre de Babylone in Paris, theatre artists, critics, scholars and audiences have come to embrace this seminal tragicomedy as a modern masterpiece. A funny, harrowing and deeply human story, the play centres on two tramps, Vladimir and Estragon, who wait by the side of a road for their meeting with the mysterious Godot – a figure who never arrives and is never explained. As they struggle to make sense of their predicament, their hilarious conversations and clownish games help them to pass the time. Acclaimed director Jennifer Tarver, who won international plaudits for her 2008 production of Krapp’s Last Tape, continues her fascinating exploration of Beckett’s work with this production. In a playbill that explores the idea of community and particularly how we as individuals relate to our fellow human beings, to society and its institutions, Waiting for Godot is a natural fit. 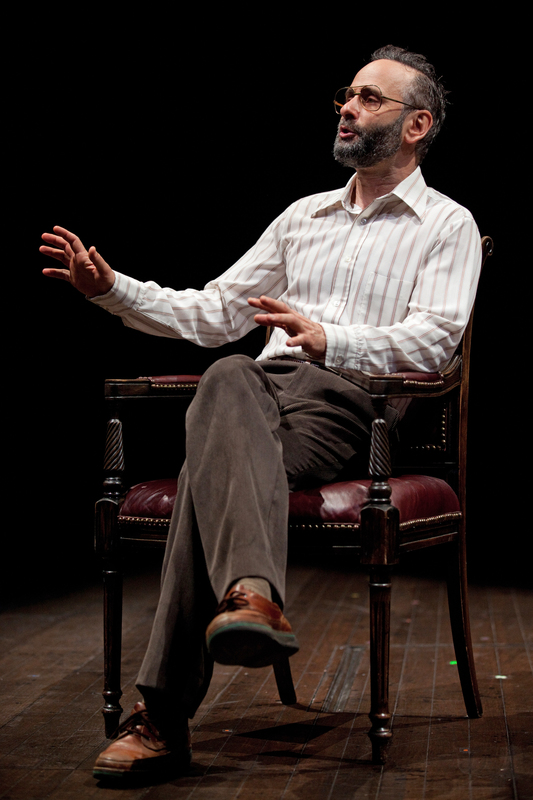 “In programming the Tom Patterson Theatre, I selected three plays that examine our relationship to God and the place of God in our communities,” says Artistic Director Antoni Cimolino. “Alongside the imposed morality of Measure for Measure and the political violence motivated by religion in Mary Stuart, we see in Godot a landscape where God is awaited but never arrives and any sense of community is absent. This play will be a great complement to the more political and social examinations of community that we have in this season. The remarkable cast features Brian Dennehy as Pozzo, Stephen Ouimette as Estragon and Tom Rooney as Vladimir, with Randy Hughson as Lucky. The artistic team features Designer Teresa Pryzbylski, Lighting Designer Kimberly Purtell, Sound Designer Jesse Ash, Movement Coach Shona Morris and Fight Director John Stead. The Forum , the new festival within the Festival, is a series of activities and events designed to make a visit to Stratford an immersive, all-encompassing cultural experience. Through debates, talks, concerts, comedy nights, hands-on workshops and more, The Forum will offer theatregoers more ways to discover and examine the themes running through this season’s productions. Waiting for Godot will be explored through several Forum events, including: Beckett: Longing and Belonging, in which Professor Sean Kennedy, an expert on Beckett, examines questions of identity, community and isolation in the play; Talking Theatre: “Who would believe thee Isabel?” in which Artistic Director Antoni Cimolino and Education Consultant Pat Quigley lead a discussion on how several of this season’s characters, including Lucky in Waiting for Godot, are rendered voiceless by the structure and exercise of power; and Star Talks, in which Toronto Star theatre critic Richard Ouzounian interviews Brian Dennehy on stage. Support for the inaugural season of The Forum is generously provided by Kelly and Michael Meighen and the Province of Ontario, in partnership with the University of Waterloo, with media sponsorship provided by The Walrus. Support for the Speakers Series is generously provided in memory of Dr. Philip Hayman. Waiting for Godot officially opens on June 27 and runs until September 26. For tickets, contact the box office at 1.800.567.1600 or visit stratfordfestival.ca. Waiting for Godot is co-sponsored by Sylvanacre Properties Ltd.. Production support is generously provided by Sylvia D. Chrominska. 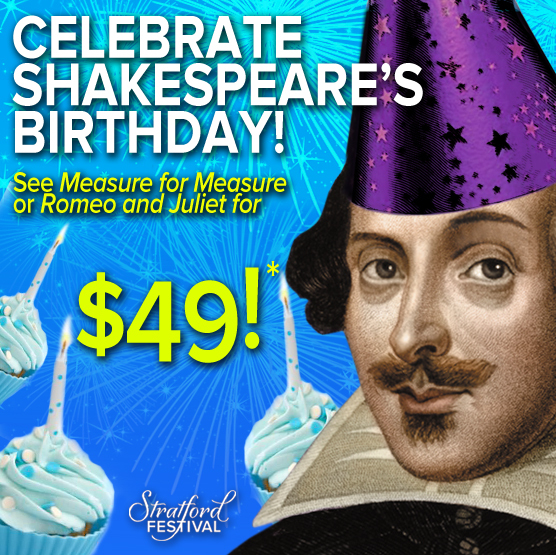 Celebrate the birthday Bard with an amazing deal! Shakespeare’s 449th birthday is nearly upon us! On April 23 we’re celebrating the Bard of Stratford-upon-Avon with the launch of The Forum – a.k.a. the Shakespeare Slam – at Toronto’s Koerner Hall. Join us for an evening of irreverent and provocative entertainment featuring the outstanding talents of Adam Gopnik, Torquil Campbell and Rufus Wainwright. Ticket information and other details are available here. 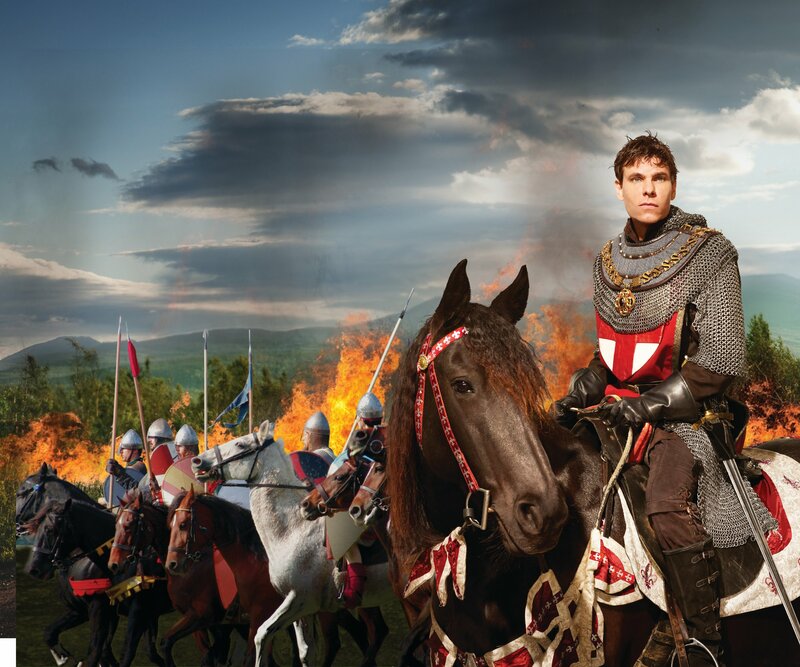 As part of our birthday celebration, we’ll also have an amazing ticket offer for some of the Festival’s 2013 Shakespeare plays! Get A or B seats for any May or June performance of Romeo and Juliet or Measure for Measure for the cost of a C seat – that’s just $49! But you’ll have to hurry – this great offer is only available from April 23 at 12:01 a.m. until April 24 at midnight, and only using Stratford Social Ticketing on the Festival’s Facebook page. What can you expect from Romeo and Juliet and Measure for Measure? Director and Shakespeare aficionado Tim Carroll joins us this season to direct the most powerful love story ever told, Romeo and Juliet. Mr. Carroll’s extensive work on original practice at the Globe theatre in London has been widely praised by critics and fans alike, and we’re thrilled to have him back at the Festival this season directing a period production of Romeo and Juliet (he also directed Peter Pan in 2010). Festival favourite Sara Topham will play Juliet alongside a new face this season, Daniel Briere as Romeo. Learn more about Daniel in this exclusive interview! Martha Henry makes her directorial return this season with Measure for Measure. Ms Henry’s film noir-inspired version of Measure will explore Shakespeare’s “problem” play in the world of 1940s Vienna. Measure’s star-studded cast includes Tom Rooney as Angelo, Stephen Ouimette as Lucio, Geraint Wyn Davies as Duke Vincentio and Carmen Grant in her break-out role as Isabella. 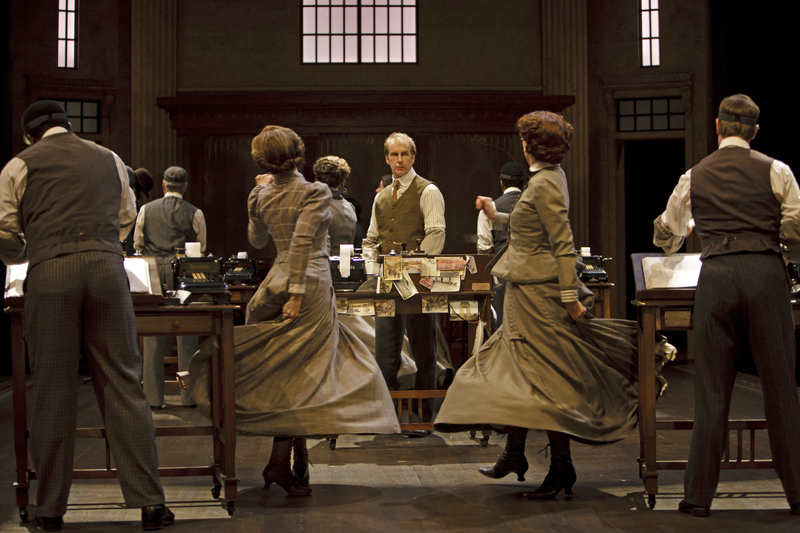 Read more about this year’s production of Measure for Measure. Select your A or B seats and check out! *Promotion not available on previously purchased tickets or in conjunction with any other offer. Offer is only redeemable through Stratford Social Ticketing on the Festival’s Facebook page and cannot be used to purchase A+ tickets. May expire without notice. Some conditions apply. January 3, 2013… The Stratford Festival’s box office opens to the public this Saturday, January 5, at 9 a.m., with an online advance sale beginning at noon on Friday. Facebook fans, who want to use the Festival’s new social ticketing app will be able to purchase tickets as of 9 a.m. today. Tickets are being offered at up to 25% off until January 31, with an opportunity to exchange dates with no added expense. This season, the first under Artistic Director Antoni Cimolino, features 12 productions, from classical to contemporary, with Shakespeare as the centerpiece, and a new initiative, The Forum, which offers an extraordinary series of events to enrich the play-going experience. The playbill and The Forum have been designed to explore a number of themes related to community, and especially to communities in conflict and the role of the outsider in those communities. Mr. Cimolino will himself direct The Merchant of Venice, with Brian Bedford as Shylock and Tom McCamus as Antonio, and Friedrich Schiller’s Mary Stuart, featuring Seana McKenna and Lucy Peacock with Ben Carlson, Brian Dennehy and Geraint Wyn Davies. Mr. Bedford will also serve as director of Noel Coward’s Blithe Spirit with Ben Carlson, Michelle Giroux, Seana McKenna and Sara Topham. Mr. Dennehy will play Pozzo in Samuel Beckett’s Waiting for Godot, with Stephen Ouimette as Estragon and Tom Rooney as Vladimir, under the direction of Jennifer Tarver. And Ms Peacock will take the lead in the world première of Judith Thompson’s The Thrill, an inspiring love story about two people on opposing sides of the right-to-die movement. Martha Henry returns to direct Carmen Grant, Stephen Ouimette, Tom Rooney and Geraint Wyn Davies in Measure for Measure. Ms Henry will also play the Prof in Taking Shakespeare, a new play by John Murrell, directed by Diana Leblanc, which is an exploration of another 2013 production, Othello, which will be directed by Chris Abraham and feature Graham Abbey, Bethany Jillard and Dion Johnstone. Rounding out the Shakespeare offerings is Romeo and Juliet, featuring Daniel Brière and Sara Topham and directed by Tim Carroll, who returns to Stratford hot on the heels of his stunning success with Twelfth Night and Richard III at Shakespeare’s Globe in London. Des McAnuff returns to blow the roof off the Avon Theatre with his production of Tommy, the blockbuster musical he created with The Who’s Pete Townshend, winning five Tony awards, including best director and best score. The main-stage musical, Fiddler on the Roof, is directed and choreographed by Donna Feore and features Kate Hennig and Scott Wentworth. Also at the Festival Theatre is the family favourite The Three Musketeers, directed by Miles Potter and featuring Graham Abbey, Jonathan Goad, Luke Humphrey and Mike Shara. Advance ticket-buyers will be among the first to use the Festival’s new Social Ticketing app, which allows people to purchase tickets through their personal Facebook page. The app allows users to create a Festival Facebook Event, where they can coordinate visits to Stratford with friends and family. It offers a seat selection function through which users can see where their Facebook friends will be sitting and select their own seats accordingly. The free app can be downloaded at http://apps.facebook.com/stratfordsocial/. The Festival is also introducing a Pre-Season Promise, which allows advance ticket buyers to exchange their tickets without incurring additional costs. Those who order before January 31 will keep their pre-season ticket price while being able to exchange for the same performance type and seating zone without paying exchange fees. A new $20 ticket price for students (down from $25). A 50% reduction in handling fees for all online purchases. A two-for-one promotion for tickets to Tuesday evening performances all season long (except opening nights). Twice-daily bus service from Toronto at a cost of $10 each way. The Festival’s recently announced Stratford Direct bus offers direct travel between Toronto and Stratford at a cost of just $10 each way. Buses leave Toronto at 10 a.m. and 3:30 p.m. and return after the shows, at 5 p.m. and 11 p.m. on performance days between May 27 and September 29. From May 1 to 25 and October 1 to 20, there will be one return trip daily, on performance days only, with buses leaving Toronto at 10 a.m. and departing Stratford at 5 p.m.
Once in Stratford, theatre-goers will be invited to fully engage with the Stratford experience. With more than 100 events already scheduled, The Forum will address the themes of classical theatre as seen in our world today through music, interactive discussions, comedy, panels, debates, dramatic readings and keynote speakers. “We are building a festival within our Festival to complement the work on our stages and we’re very proud of the exceptional program for the inaugural Forum,” says Mr. Cimolino. “It includes speakers such as John de Chastelain and Adam Gopnik, musical performances by Cynthia Dale, the ARC Ensemble and others, as well as special presentations by key members of our company, including Seana McKenna, Lucy Peacock and Geraint Wyn Davies. 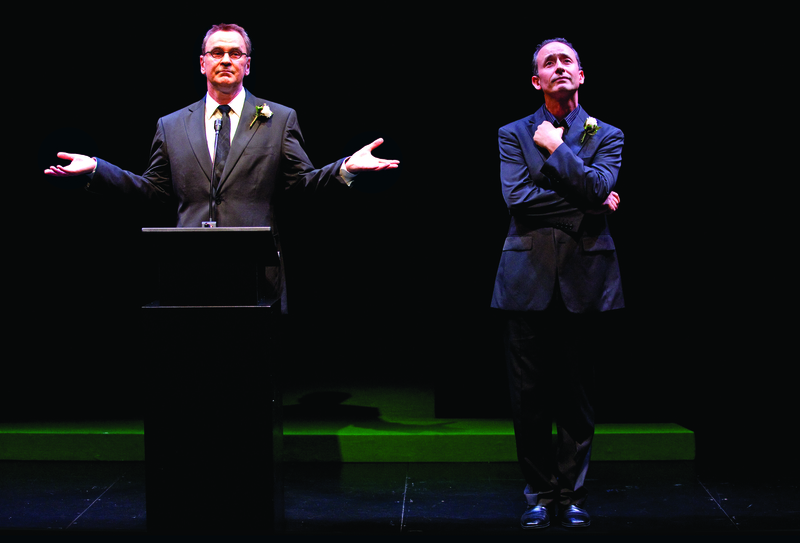 The 2013 season begins on April 23 and runs until October 20, featuring Romeo and Juliet, Fiddler on the Roof, The Three Musketeers, The Merchant of Venice, Tommy,Blithe Spirit, Othello, Measure for Measure, Mary Stuart, Waiting for Godot and two new Canadian plays, Taking Shakespeare and The Thrill. 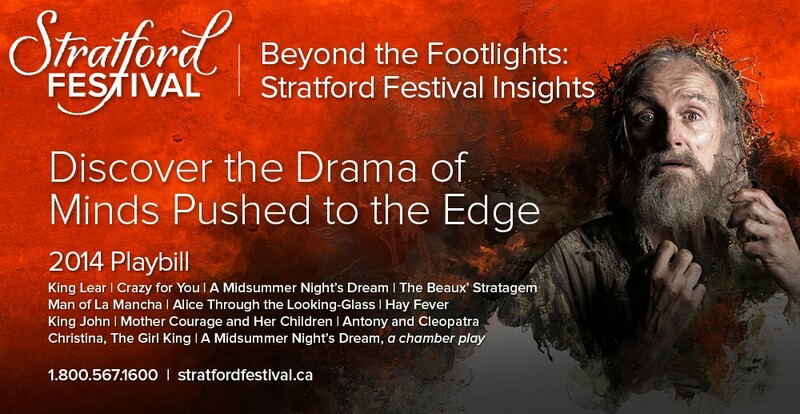 To order tickets, call 1.800.567.1600 or visit www.stratfordfestival.ca.